I was born and raised in Cortez, which is a small fishing village in the Bradenton Beach area of the Gulf Coast in southwest Florida. I am one of three boys, I have an older brother and a twin brother. Being raised a stones throw from the water I obviously enjoy almost anything that involves the water. My favorites are surfing, diving and fishing but my real true passion is music. 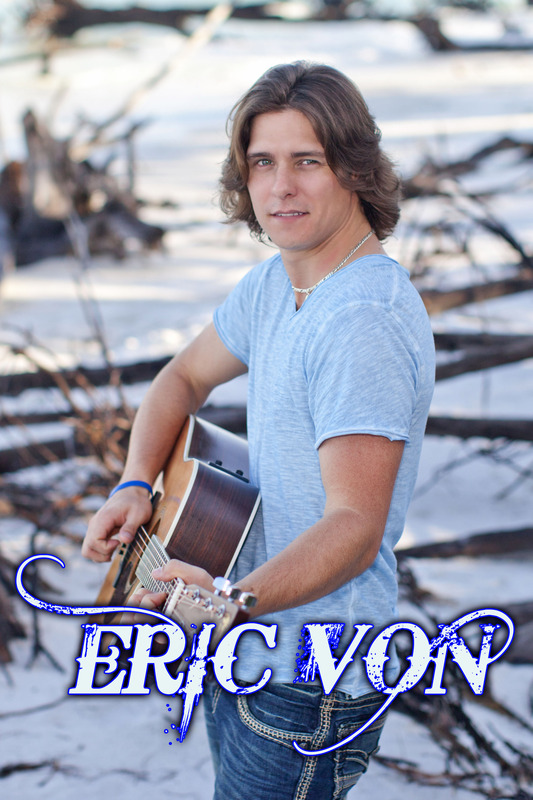 I write my own lyrics and music, infusing my country tunes with an island flair. I have been singing since I was three years old. It was at the age of twelve that I started playing the guitar and by the time I was fourteen I was performing professionally.I have had the opportunity to meet and work with a lot of great people, but some of my best moments were when I opened for Kenny Chesney, Miranda Lambert, Jake Owen, Aaron Tippin, Casey James and John Anderson. I also had the chance to meet David Lee Murphy and to sit down and write with Nashville’s own Kim Tribble, and Steve Clark. I now reside between Orlando and Nashville and play regularly at Jimmy Buffett’s Margaritaville at Universal City Walk and Nashville’s Broadway locations. In 2007, I was named the Colgate Country Showdown Winner for Central Florida under country radio station K92fm. I also brought home the title of Colgate Country Showdown winner for the State of Florida that year. One of the biggest moments that I have had so far came in 2008 when I was named the winner of Kenny Chesney’s “Next Big Star” contest for the Tampa area of Florida, under Country radio station WQYK and The Dallas Bull. As the winner of that contest I had the honor to open for Kenny Chesney and play in front of 13,000 people at the Ford Amphitheater in Tampa, Florida. I have also donated my time and talent to numerous charitable causes such as, The American Red Cross and The American Cancer Society just to name a few. Just recently I had a single that I wrote and recorded off my latest album on the Nashville Music Row Breakout Charts. The song is titled “I Can’t Help But Smile” and it reached 64. Only time will tell what the future holds from here. I feel blessed that I am able to do what I love the most. I have God, my family, friends and fans to thank for that.